Lara, a former Inside Edition producer, and Eric, who runs the Trump Organization with brother Donald Trump Jr., were married in 2014 at the Mar-a-Lago Club in Florida after dating for six years. Lara now works as a senior adviser for Trump’s re-election bid and often speaks publicly about her father-in-law. 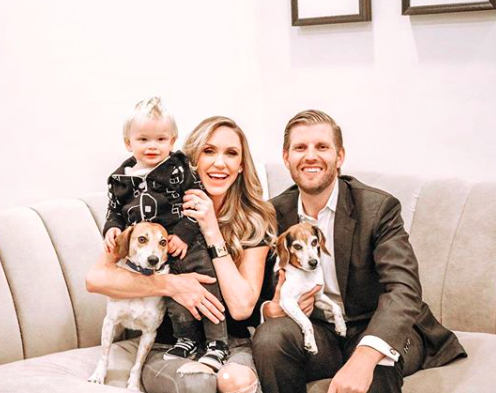 Eric and Lara’s new addition will join older brother Eric “Luke” Trump, who is 19 months old.